Scanning through the contents of Paulo Coelho’s The Pilgrimage will make you think that this book is for the psychologically-stressed, over-sentimental readers who are in need of another tear-jerker from the author of The Alchemist. This is half-true. Paulo’s travel to Santiago de Compostella wasn’t that boring after all. In fact, I finished reading the whole book during my stay in Boracay. Brix, for the wonderful book. TJ, for letting me hear ‘Pilgrim’s Theme’ for the first time using your iPod. A lot of things happen for a reason, but there are things which reasoning cannot explain. I never thought I would encounter such misery. My mind shifted from clear to cloudy, getting darker as days of pure torture pass. We all make mistakes and a wrong move can change the course of our lives forever – this is what I have realized. Time became very slow. Patience left my heart and my longing has never been more intense. I tried to savor every drop of happy moments I had with love, hoping that the taste won’t leave me. The sudden change left me wasted, useless and pityful. I took a risk worth taking and not a thought of regret entered my beaten being. But why the flood of tears? An invisible conversation with the Creator became an option. Questions were raised but were all left unanswered. More chances were asked, more signs were wanted, but only hope came. Take note that everything that enters your life may leave. Mere company is not enough and simple presence is not want I really want. I thought of angels who are there yet remain unseen. I knew it! I am not one of them but at least I tried to be one – even better because I can interact. Giving up may be one of the best solutions. No other options are left. I’m looking for the road I left; the one I knew so well but I can’t find it. Maybe there is a reason why I settle for these things that make me insane. When you give something away, it is hard to get it back. What if you gave away yourself? My smile became a defense mechanism. All of my plans are not anymore followed. Riddles challenge everyday of my life. Many times I wondered how I survived, but here I am, an empty vessel for a lonely soul. I know everything will end when I become consumed. ‘Friends’ is already obsolete, I don’t like the story of ‘The OC’ anymore, and I’m fed up with game shows. 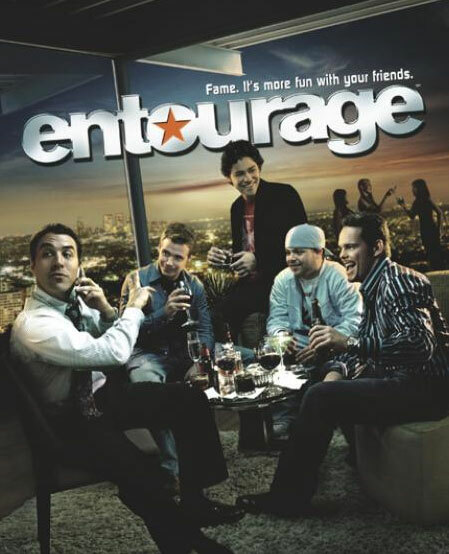 After my long search for new shows that would suit my taste, here are the top three series that luckily passed my unstable TV standards – Entourage, Heroes and The Starter Wife. 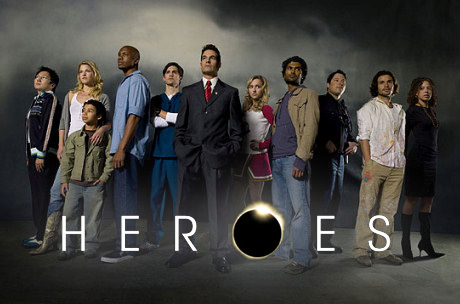 Heroes (C/S, RPN) ‘Save the cheerleader… save the world’ Alright, with all the people going nuts with Hiro, I eventually joined the bandwagon after my friend lent me a DVD of the first season of ‘Heroes.’ As a Biology student, I appreciate the Genetics in the show. Aside from tinkling the biologist in me, I am amazed by the super powers the characters have. My favourite would be that of the Petrelli brothers. Another 7 out of 10 for this fantastic masterpiece. I can’t wait to watch the next season. The Starter Wife (Hallmark) ‘Let’s see if it is a life worth saving’ Debra Messing has never failed to make me laugh since Will and Grace. In this new mini series by Hallmark, she portrays the role of a solo ‘Desperate Housewife.’ She is very funny and the satiric lines are so meaningful. The actors and actresses are all good and it is what I call a tasty approach on divorce. I only watched 3 episodes and I am longing for more. I really loved the line when Sam Knight saved Debra’s life and said ‘Let’s see if it is a life worth saving’ as an answer to ‘Thank you for saving my life.’ From then on, I became in love with the show. An 8 out of 10 for this comedy. Now I have these three shows as replacements for my previous TV show favourites who have now gone to their rest in the hope of rising again. When I started writing news for our college publication, I was assigned by my editor to follow every move of the UST College of Science Glee Club (CSGC). Now, I can’t believe that I am now part of the singing group I constantly covered during their college gigs, university-wide stints, and even in when the President calls them (see related blog entitled “Some Culture”). It was last July 2, 2007 when I saw my name posted as one of the applicants who passed the first and second screenings for the new breed of singers for the CSGC. Psalm 84 (How Lovely Is Your Dwelling Place) was the song I chose as my audition piece. And during the final test – the so-called ‘Judgement Day’ – I passed. Thanks to the one month training and to the support of my friends, I was able to prove to myself that I can really sing. Plus, those videoke nights were quite helpful as well! The first three months of my singing experience as a ‘gleepol’ (as we CSGC members call ourselves) has been very memorable for me *pardon my mushiness*. Aside from the usual invocation and national anthems in school, I, together with two colleagues, were invited to sing in a wedding. Although I was shaky and nervous, I was happy to have sung for the first time in front of a wedding banquet in Laguna. (Alas, an alternative to hosting!) Next exciting performance for me was during one of the La Naval masses in Santo Domingo Church Quezon City. Singing for a mass offered to the miraculous Our Lady of the Holy Rosary was a very inspirational moment. Because of CSGC, my name became part of the ‘Most Wanted’ list of the SOCC (Student Organizations Coordinating Council) and OSA (Office for Student Affairs). It’s a complicated story but I guess it’s the price to pay for bringing out the truth. My article (which I wrote six months before I became a gleepol) was noticed by the said UST offices because I relayed the ruckus that happened to last year’s Intercollegiate Song Festival (ICSF) in Momentum Vol. 45 No. 1. It may be a small matter for some journalists who face bigger libel cases and related stuff, but facing the said issue has been one of my most trying times as a campus journalist. Well, I already talked to the SOCC president and I have no intention of destroying the Council. Long story cut short – problem was solved and I was able to get my Certificate of Good Moral Character (which I thought wouldn’t be released because of all the brouhaha over the published article). Soon, I will be experiencing ICSF myself and I can’t wait to see the difference. This time, I will be the one to be covered. I never thought that singing would be part of my last year as a college student. Psalm 84 has led me to this new and melodious world of chorale life. Almost every night I have to vocalize, practice and sing. I am serious and I will make this ‘first and last’ gleepol gig of mine very fruitful. Besides, this is something beyond karaoke.